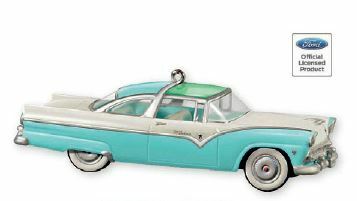 23rd in the Classic American Car series from Hallmark Keepsakes. Wheels turn on this 1955 Ford Fairlane Crown Victoria Skyliner. This ornament is die-cast metal.